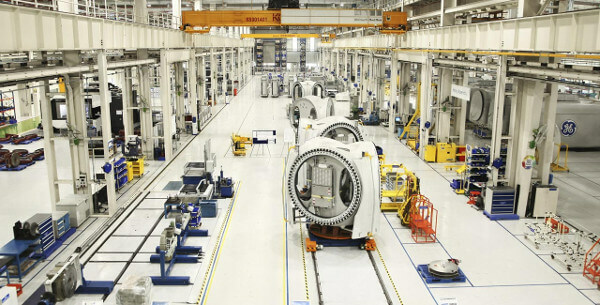 GE Digital yesterday detailed how it is driving digital transformation and connected IIoT services to become more efficient and profitable. 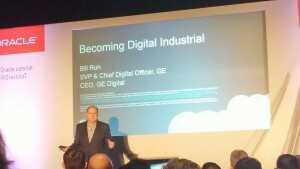 LONDON, UK – In his opening keynote at Smart IoT London exhibition on Monday, GE Digital CEO Bill Ruh outlined the company’s vision in a presentation entitled ‘Becoming Digital Industrial’. 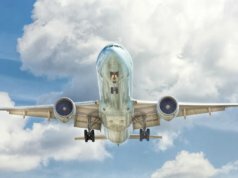 He opened by saying that the promise of the Industrial Internet of Things (IIoT) has been somewhat long in the tooth; the idea of connected machinery was first dreamed up in the late 1990s, but has only now gained serious traction as the likes of Airbnb, Uber and Apple change how we see and use technology – and how companies do business. This shift, says Ruh, made GE formulate its own digital transformation strategy. “If you look at the companies that are doing well in this whole internet revolution, there some interesting things we look at and say, ‘what have they really done’? “The idea Airbnb, Uber and Apple can create huge businesses on assets, and not have to own these assets, is actually counter intuitive to way business been running for last few hundred years. In fact, we evaluate companies’ worth on assets they have. Ruh, who is also SVP and CDO at GE, charts how GE’s digital transformation first came about after observing that the industrial market was shrinking rapidly, declining from an annual year-on-year growth of 4 percent to just one percent. This, seemingly, saw the company realise that the market was shifting – and that data was now key to generating revenue. He added, perhaps bluntly, that it would be ‘shame on you’ if manufacturers weren’t leveraging data coming off their gas and wind turbines to improve their services. Ruh added that the key to digital business today is about ‘mastering data and insights’. “You’ve got to have the data, and you’ve got to be able to manage data. We were processing one terabyte (1TB) a day on all machines globally ten years ago, now its 10,000 terabytes a day. 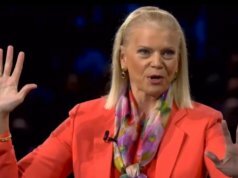 It will be one million terabytes a day off machines by 2020. The only question for us who’s going to deliver great outcomes on that? We feel it should be us. “You’ve got to restart with business model, and rethink what you sell.” Ruh said that the old licensing model in manufacturing no longer works, with the shared economy pushing suppliers to a consumption-based, cloud-based approach that is driven by OPEX, rather than CAPEX. He noted how GE’s own transformation plan focused heavily on ‘software-defined everything’ and ‘data as a revenue generator’, something that is being driven through its Predix software. This transformation arguably stems from CEO Jeff Immelt declaring (back in 2011) that GE needed to evolve into a software-and-analytics company, rather than lettings its industrial machines become mere commodities. 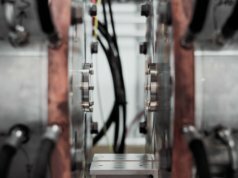 Immelt set an ambitious target of US$ 15 billion in software revenue by 2020, with much of this ideally coming through Predix. Speaking yesterday, Ruh details how the firm ‘rethought manufacturing’ through Industrial IoT (IIoT), from making turbines that were faster and lower-cost, to driving its 75 million factories to achieve better yield, less downtime and faster production cycles. What’s more, he said that these three can be integrated in a ‘digital thread’ for general business efficiency, ensuring – for example – that engineers can get to fix a product before it breaks down. IoT doesn’t just drive efficiency internally though, but also externally, with locomotives as an example. GE has been producing locomotives for a hundred years, and is now working with partners to optimise everything from the fuel-cost – “essentially using IoT data to tell optimize speed train for fuel savings”, to improving car loads, engine performance and product lifecycles. Ruh gave on interesting example of how GE uses cameras and video analytics to check the quality of the rail line – a previous manual task. 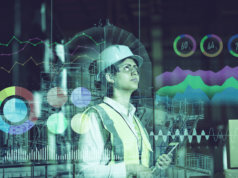 “It’s the land of machines…if you can figure out how to use less resources, make services more reliable and more safe, you can make IoT a revenue generator for any company. Healthcare is clearly a huge opportunity, as evidenced at Mobile World Congress, with Ruh here describing how IoT could become the input for health records, letting doctors concentrate on the patients. Predix is GE’s cloud-based platform-as-a-service (PaaS) which spun out of GE Software, which was founded in 2011 with a $1bn investment. It falls under Ruh’s management at GE. In essence, as Ruh described, Predix combines cloud and analytics, been able to process data at the edge, on the gateway and in the cloud. Yet, Ruh stresses that this digital innovation in industrial manufacturing is not easy, especially for a sector steeped in legacy culture and systems. He cites old licensing models, assets vs services as well as the newer argument over digital vs IT as potential roadblocks to driving change, and especially embracing IIoT. 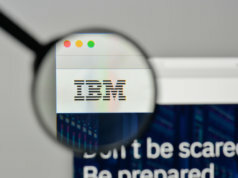 Ruh added that the business transformation requires “entirely an entirely new talent basis that most people don’t have” and notes the challenges with legacy ERP systems and on premise data systems, especially as IT struggles with the move to data analytics platforms and hybrid cloud solutions. 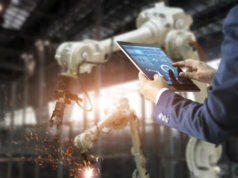 You might like to read: Report – Does IoT change how manufacturers operate?